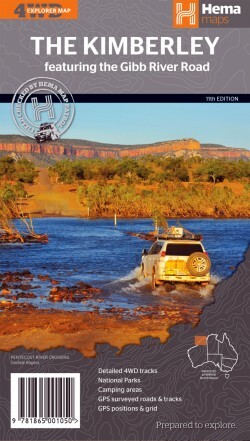 Die hier aufgeführten Offroad- & Outback-Landkarten können über den Online-Shop der Firma Australien-Karten.de (Magellan Buchversand, Nesselstrasse 20, 46240 Bottrop, Deutschland, Tel. 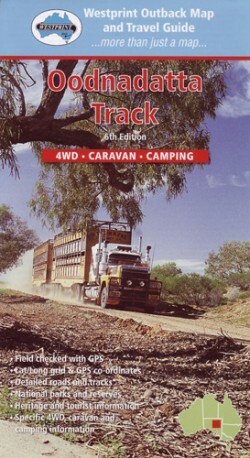 +49-2041-7657733, Fax +49-2041-7657732, Email: info@australien-karten.de) bestellt werden. 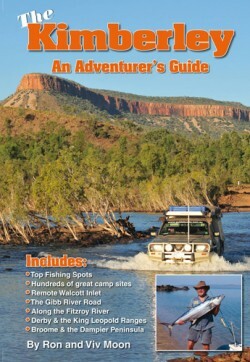 Der Outback-Guide tritt dabei nur als Mittler auf (weiter Kontaktdetails siehe Impressum). 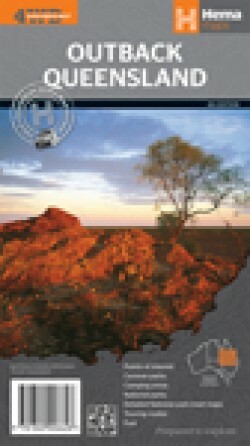 Der eigentliche Vertrag wird mit der Firma Magellan Buchversand abgeschlossen, die dann auch den Versand und die Rechnungstellung veranlasst. 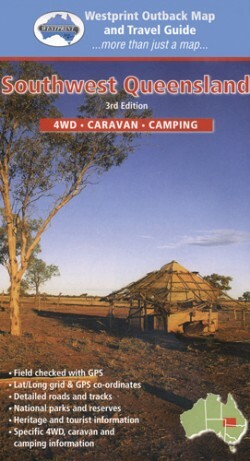 Fazit: Hervorragendes Kartenmaterial zur Canning. 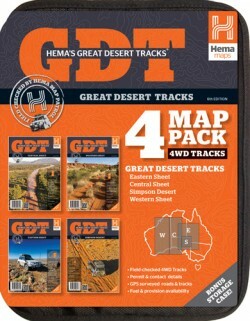 Absolut empfehlenswert, vergleichbar mit den HEMA Great Desert Tracks dafür aber mit Zusatzinfos zu Sehenswürdigkeiten. 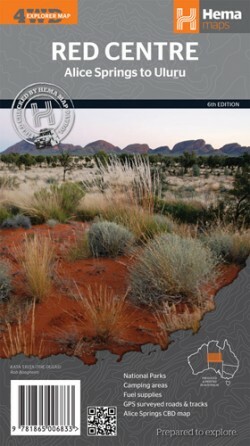 "Great Desert Tracks Map Pack"
Derzeit das beste und aktuellste Material zum Outback, inkl. 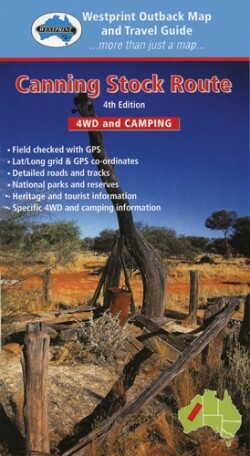 zahlreichen GPS-Punkten. 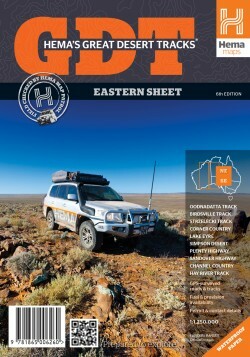 HEMA scheut für diese Karte keine Kosten und Mühen und lässt jedes Jahr 4WDs Expeditionen das Outback durchqueren um detaillierte und aktuelle GPS Daten für die aufgeführten Tracks zu erfassen. 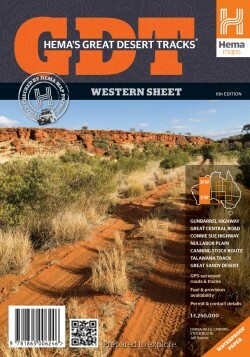 Recht detaillierte Überscihtskarte; Auf der Rückseite Infos zu Sehenswürdigkeiten und Eigenheiten der Region. 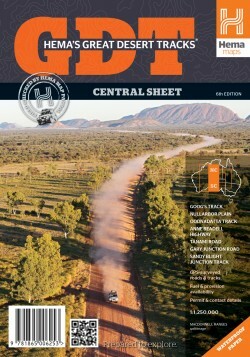 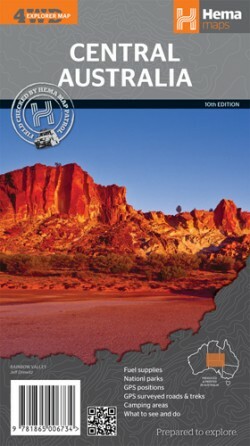 Beschreibung vom Verlag: "The Map gives a good indication as to the comprehensive way in which this project has been approached, with an excellent regional road map, showing roads, tracks, distances and facilities from Halls Creek to Wyndham. 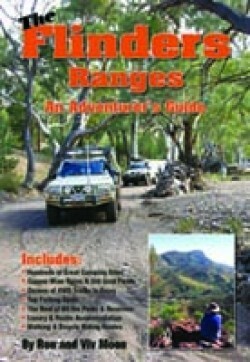 On the other side is a complete travel guide to the entire area, giving detailed information on particular features, all relevant contact numbers and some spectacular images, to wet the viewers appetite for what they are about to see." 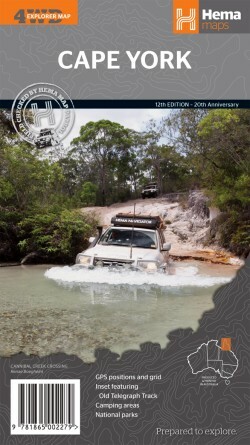 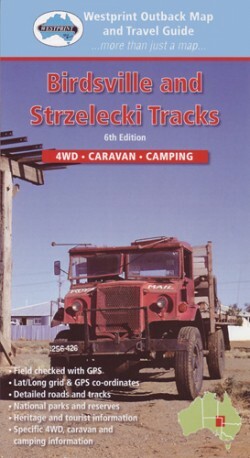 Beschreibung vom Verlag: "A 4wd touring guide to Cape York, this book contains the latest information on track conditions, camping areas, access details, supply points and fuel availability. 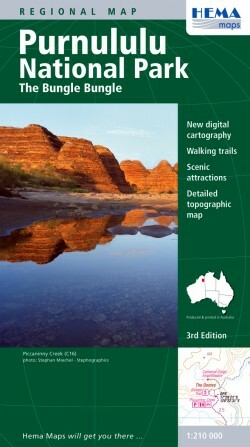 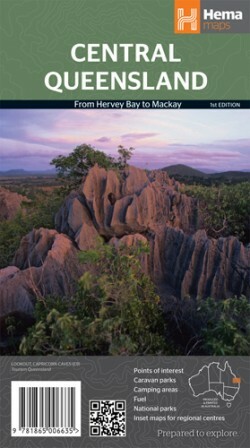 Information on the little visited areas of Cape York like Cape Flattery, the Skardon River mouth and beach, the Pennefather River mouth, Duyfken Point, False Pera Heads and the Olive River goldfields are included as well as the more well known areas like Normanton and Karumba, Chillagoe and the south-west Cape, the Palmer River goldfields, Iron Range and Portland Roads, Cooktown, Weipa, Thursday Island and Torres Strait, as well as the very top of Cape York around Bamaga and Seisia. 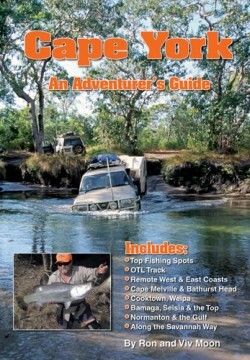 The book features 39 maps with chapters on fishing, hunting, canoeing and national parks provided. 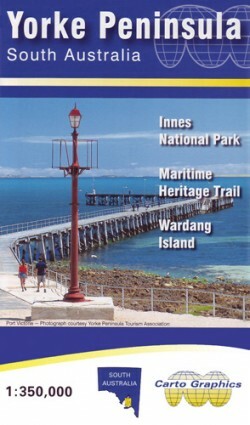 Details of each town and facilities is covered as well as a comprehensive list of important phone numbers & contact details. 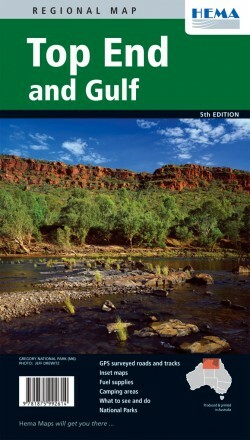 Soft cover, 288 pages." 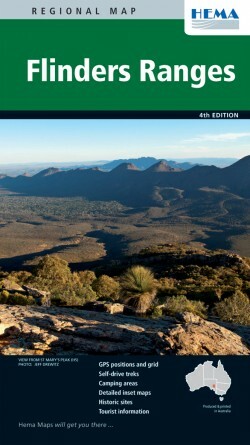 Beschreibung vom Verlag: "Comprehensive guide book for travelling in the Flinders with up to date informaton, trek notes and maps. 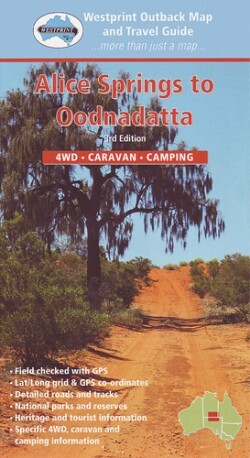 Notes cover many routes throughout the area with access details to campsites, scenic spots and places to visit. 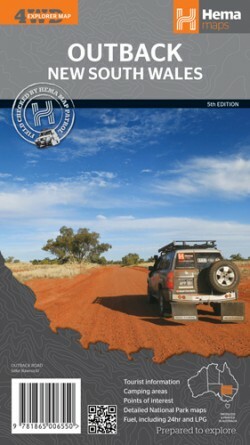 256 pages." 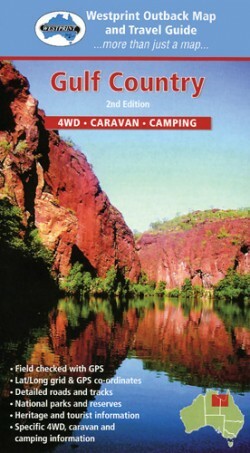 Beschreibung vom Verlag: "This guide book is suitable for everyone exploring the Kimberley region whether by 4wd, motorcycle, walking or even canoe. 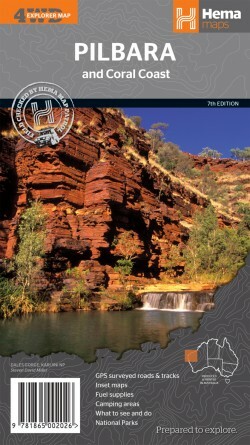 Completely updated this edition offers information on and advice on all areas of the Kimberley with trek notes to the major routes. 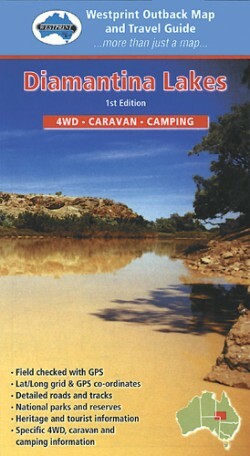 Sections cover history, four wheel driving, canoeing, national parks. 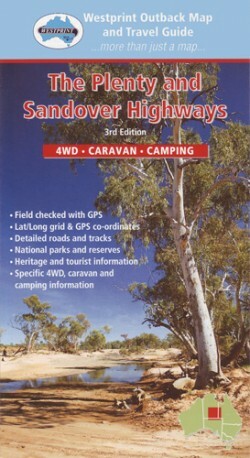 Major towns and supply points are listed with facilities and accomodation available. 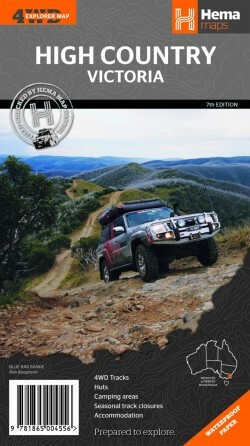 288 pages."